Use Esri's developer platform to create something unique and wow the Esri representatives. Check out their platform for a free Esri developer subscription! Prizes: $100 Amazon gift card and a guaranteed interview for an internship or full time position on the Invoca development team. Most complex use of AWS will claim the prize! Ask the MLH Table for a promo URL to claim a free domain! Check out domain.com. Bring creativity! Use your tech skills for good and hack online harassment. Build a software solution that can help reduce the frequency and/or severity of online harassment. The best hack that fights online harrassment wins. Lockheed shirts, padfolios, and pens! Devpost is being used for our submission system. The "registration" for this event on DevPost is separate from your registration at sbhacks.com. 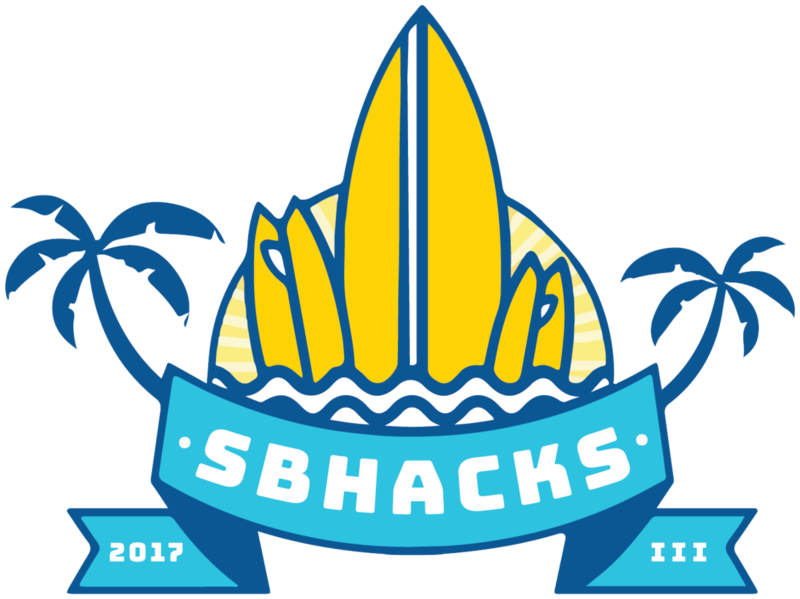 You must be registered and checked in with our sbhacks.com (MyMLH) system in order for your registration and submission to count on DevPost. You can edit you submission up until hacking ends at 9:30am on Sunday. We will assign you a table to present on when you checkin your team/project in the foyer between 9:30 and 10am. Unless you have a large setup (such as the team with the 3D printer) your table should be cleared before you come to "check in" you project in the foyer. If you are in the upstairs GSA lounge please move into Corwin Pavillion as soon as hacking ends. All judging will occur there. Note that DevPost offers more features than we are utilizing. Most communication will still happen over Slack (#submission channel) and via the microphone. More info on the challenges can be found at sbhacks.com/prizes. Participants must be students or have graduated college within the past year. Registration was done online via MyMLH and is now closed - you should have been checked in at the door. Use DevPost to enter your team and project.